BACARDÍ Rum releases tickets today for a hotly anticipated show with Bugzy Malone in his hometown of Manchester on Saturday 23rd June. Tickets for the gig at Gorilla, on Whitworth Street, are available through the mobile ticketing platform DICE and priced at just £5. Proceeds from all ticket sales will go to the award-winning non-profit Lonely Whale Foundation. 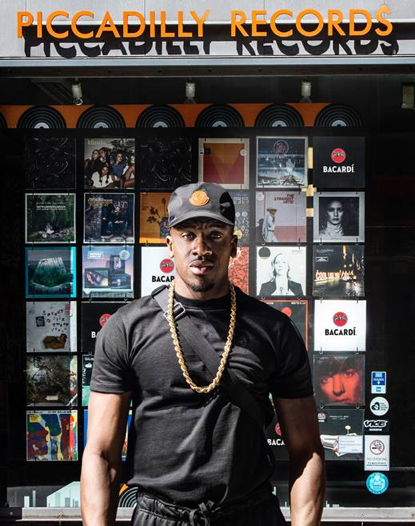 Bugzy Malone will host the show as part of a new nationwide BACARDÍ music campaign called Do What Moves You, with support on the night from rising MC Hardy Caprio, BBC Radio 1Xtra's DJ Semtex, and Manchester rappers Lady Ice and Stef Smith. Manchester born wordsmith Bugzy Malone is fast developing a reputation as one of the UK's brightest independent grime talents. Dubbed 'The evil genius', Bugzy has amassed a loyal fan base through his heartfelt lyrics and knockout delivery displayed in EPs Walk with Me, Facing Time and most recently, King of the North. To coincide with the tickets going on sale, BACARDÍ releases exclusive new footage of Bugzy Malone filmed in Manchester, where he reveals the creative inspirations and influences that have shaped his musical journey. Scroll down to the bottom of the article to watch the video. When: Saturday 23rd June, 19:00 – midnight.